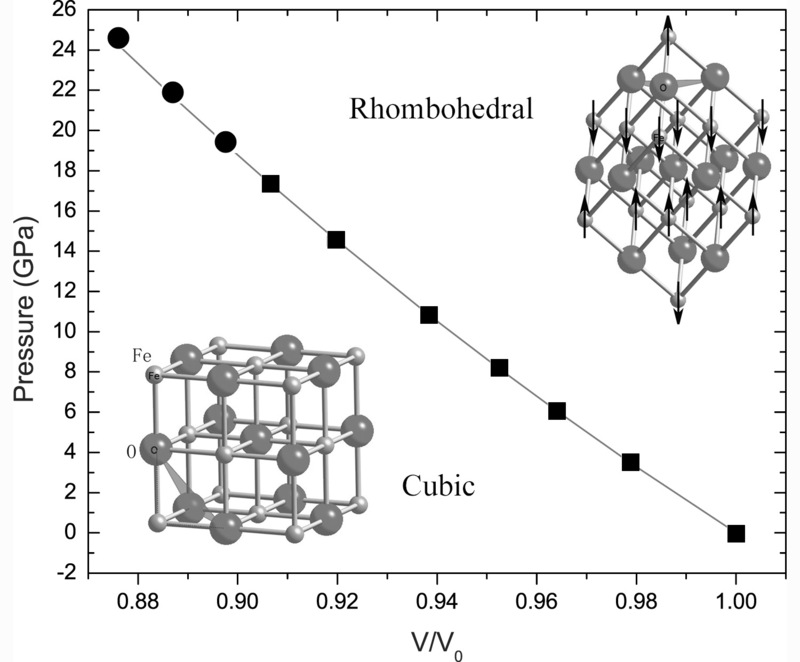 P-V data and fit below 19.6 GPa and corresponding structural models (solid square: cubic phase; solid circle: rhombohedral phase). 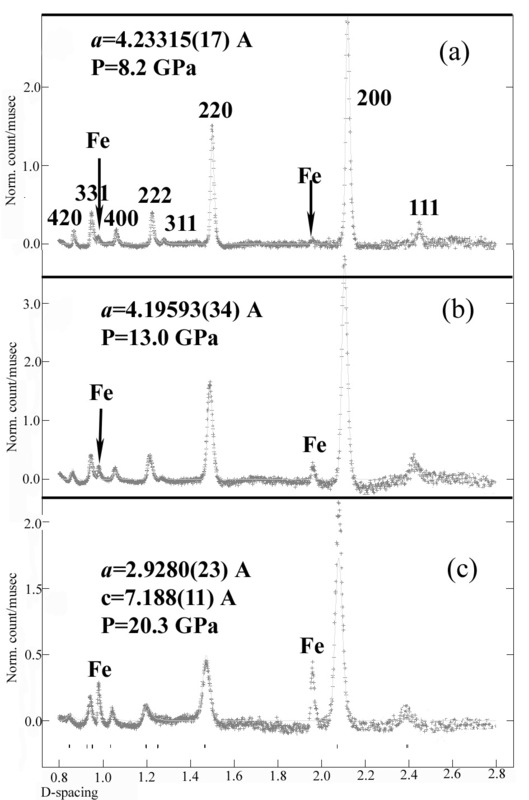 Neutron diffraction patterns (with background removed) collected at different pressures: (a) 8.2 GPa; (b) 13.0 GPa; and (c) 20.3 GPa. The solid lines are the calculated patterns. 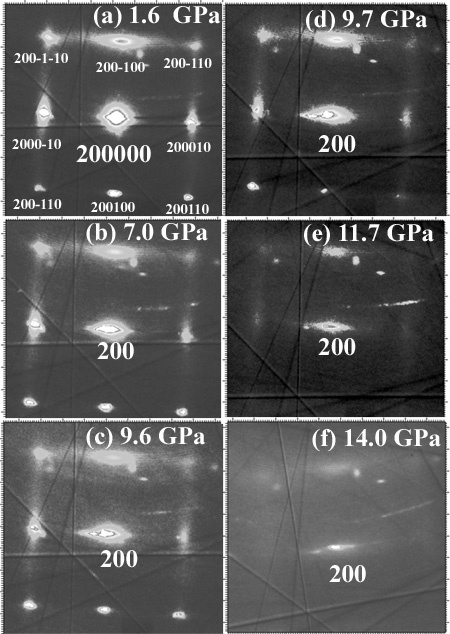 Diffraction patterns of the super-structure reflections were taken under pressure from (a) 1.6 GPa, (b) 7.0 GPa, (c) 9.6GPa, (d) 9.7 GPa, (e) 11.7 GPa, and (f) 14.0GPa. 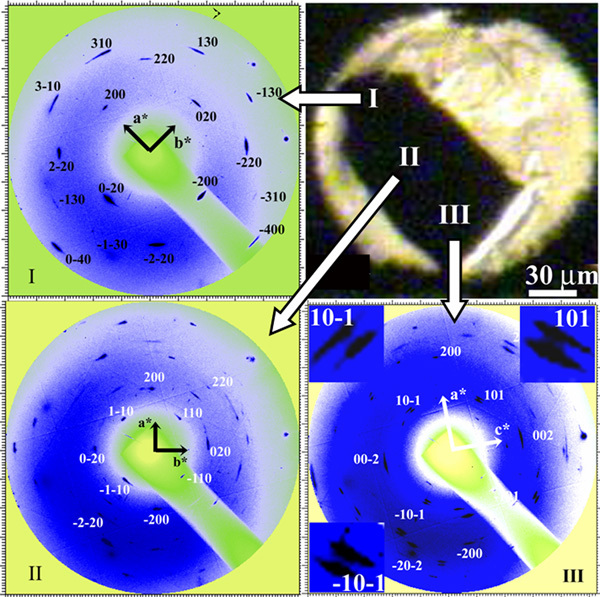 The super-structure reflections arise from long-range defect-cluster ordering. Zone axis diffraction patterns of a Fe1-xO single-crystal in a diamond anvil cell at 35 GPa and the corresponding observed diffraction patterns from locations I, II, and III of the sample in a diamond anvil cell. The indexing of each pattern has also been shown. The inserts in pattern III are the enlarged splitting of diffraction class 101.